The Other Art of Living » MERRY CHRISTMAS MY FRIENDS! This year , as always has been more than rich in events, news, surprises, up and downs, but well that’how life goes on 😉 I love this time of the year for this special day among family ,when the spirit is the same from one year to an other, from a place to the other, cause all we are looking for it’s to make other’s happy. At least for a day ;p And since i have now 2 kids, it means even more to me, even if we are not christian, Chrismas has become a tradionnal celebration in our whole family, and for kids it’s just magic. 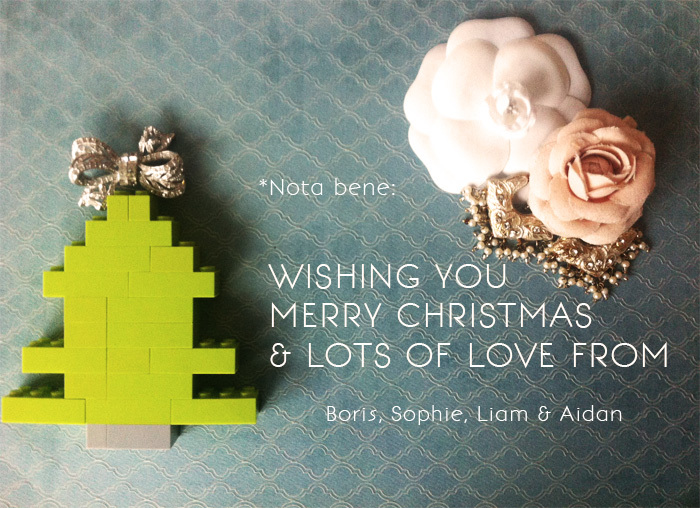 Wishing you all, a warm, happy and loving Christmas <3 and hope you will all be spoilt by whoever! Joyeux Noël et de belles fêtes ! Le dernier petit coup d’oeil de 2013 ici. Raffiné et plein d’énergie positive, bravo!! !